I feel like it was just yesterday when the announcement was made at Coachella that Alexander Wang was collaborating with H&M for a collection that would be available in November, which seemed so far away. 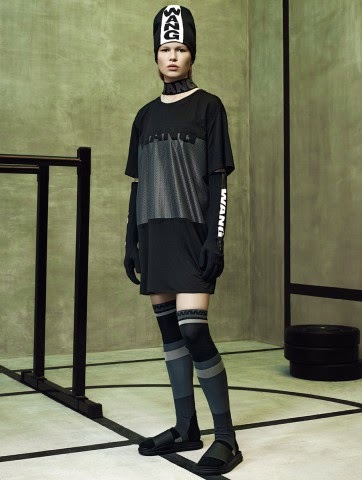 Now, the look book has been revealed consisting of sporty pieces true to Wang's style, including scuba dresses and sweatshirts, mesh leggings, leather joggers and gloves that are fit for a boxing ring. And in less than three short weeks we will be able to shop the collection. I have my eye on those booties and neoprene sweatshirt, what pieces are you excited for?